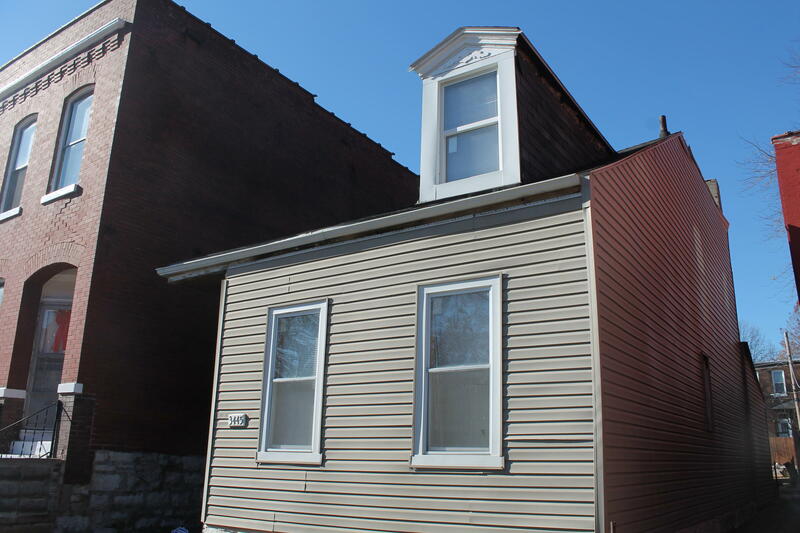 Benton Park resident Alexis Forman didn't know what a flounder house was before she bought her rehabbed home four years ago. “Every so often, I’ll walk outside and there will be somebody going, ‘That’s weird,’” she said, laughing. Forman’s home is what is known as a flounder, or half-house. Typically built in the 19th century, this folk form was once a fairly common housing type in St. Louis. Today, the city has the biggest remaining collection of these historic homes in the country, with 277. But the flounders’ strange shape still catches many residents off-guard. As part of our collaborative reporting project Curious Louis, St. Louis Public Radio's Stephanie Lecci takes us inside a flounder house to learn a little bit more about these quirky homes' history. The name, he said, comes from their profiles’ resemblance to the head of a flounder fish, but their moniker isn’t the only fishy thing about them. Historians have only theories as to who first built them and why they took such a curious shape. Though she’s lived in her home for four years, Forman is none the wiser on these mysteries. But she can answer one question about flounders: what it’s like to live in one. 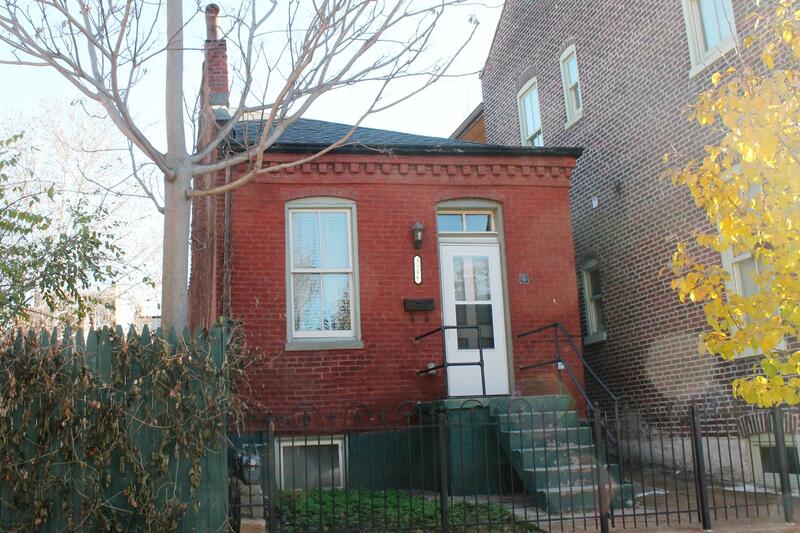 A street-view of Alexis Forman's Benton Park flounder home shows off its triangular profile. Forman didn’t know what a flounder was until she came upon it while house-hunting. 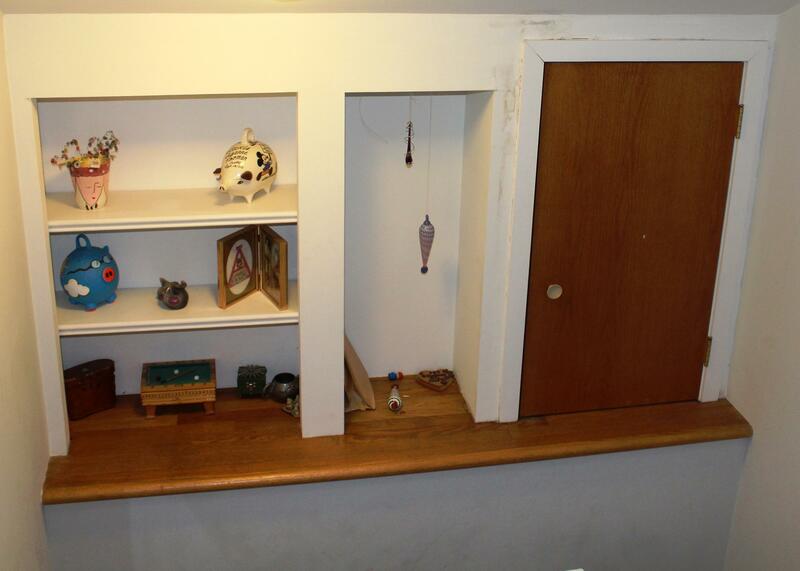 “I told my realtor, ‘I don’t understand this house but I think I love it,’” she said. Much of what she appreciated about the property is related to flounders’ unique history. Like with many flounders, the tall windowless wall that creates the roof peak sits at the edge of Forman’s property line. 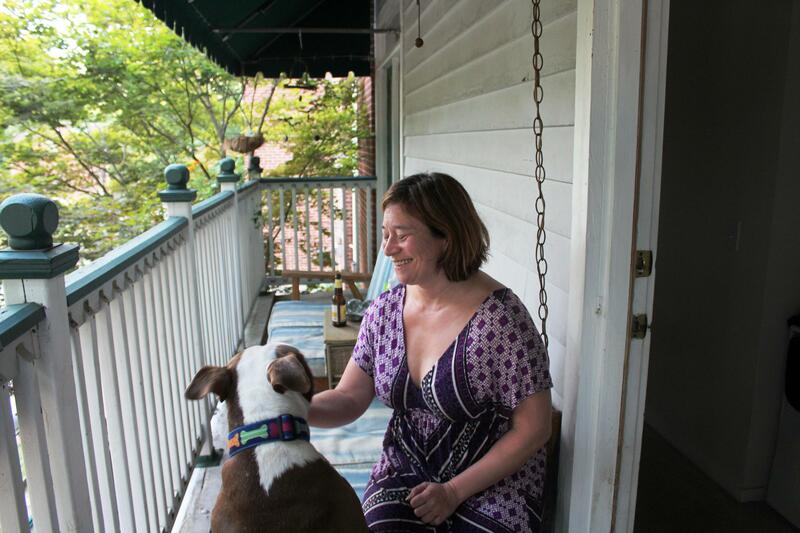 Benton Park resident Alexis Forman said she often fields questions from people on the street about her flounder house while she sits on her balcony with her dog, Monster. As the first homes of craftspeople, laborers and immigrants, the buildings were often the first constructions on a lot, according to Jan Cameron, preservation administrator of St. Louis’ Cultural Resources Office, which has been surveying the city’s flounders. “It was the first house people built and then later on, often they put a large addition in the front … and made a bigger living space when they could afford it,” she said. That didn’t happen in the case of Forman’s property, which allowed for the large yard she loves with a front entrance on the side of the house. But for Forman, the main selling point was the balcony off the second floor master bedroom — another feature made possible by this unique layout. Flounders’ sloping roof lines were often extended out, usually with wood, to form long gallery porches the length of the houses. Typically, these gallery porches were on the first floor of the homes. But the people who first rehabbed Forman’s home turned what was once a half basement into the first floor, and the first floor into the second floor — creating, essentially, a balcony. 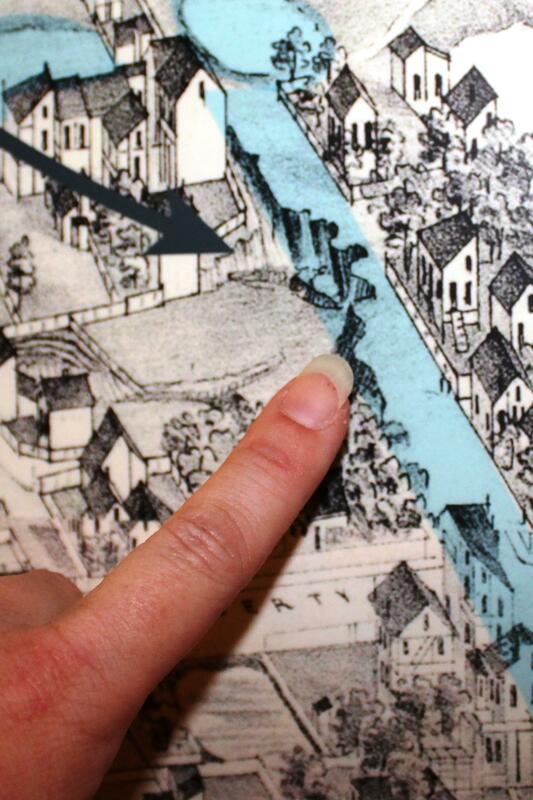 Slightly higher and to the right of resident Alexis Forman's finger is her flounder home pictured on Compton and Dry's Pictorial St. Louis atlas of 1875. The basement transition also explains why her living room boasts stone walls — the same as the ones seen on the exterior of the building. It’s also made it easy for Foreman to find her home on Compton and Dry's "Pictorial St. Louis" atlas of 1875. The half-basement-turned-living room also turned the former second floor into a third floor, which many flounders don’t have. That floor now holds guest bedrooms and a large skylight that illuminates the home. On the second floor is a master suite, complete with en-suite bathroom and a walk-in closet. The home also holds some surprises. Space is at a premium in this 1,700-square-foot flounder house in Benton Park, which is why cubbies and cabinets are built in throughout. Space is an issue, even with nearly 1,700-square-feet in the home. Forman said the staircase smack in the middle of the house consists of small landings, making it hard to navigate furniture up and down. “The rooms are strange sizes and strangely arranged, so I had to give away so much furniture because there was no place for them,” she said. Forman is lucky, though: her home had already been rehabbed. Before that renovation, the interior of the home had collapsed in on itself. While many flounders have been preserved and are occupied, a recent study by the city’s Cultural Resources Office showed dozens are endangered. The office’s Cameron estimates about 60 are currently unoccupied; several are abandoned and in severe disrepair. Dozens of historic flounder houses across St. Louis are considered endangered, according to a recent study by the city's Cultural Resources Office. That’s why Cameron’s office began its survey of the city’s flounders: it had to know how many were in trouble in order to save them. Some of the endangered flounders are located in historic districts, making them eligible for tax credits to help with rehabilitation. But many other are not. The office hopes to get all the city’s flounders listed under a “thematic” designation on historic registries to “be able to offer them assistance,” Cameron said. Cameron said she believes with the right incentives, many people would see the potential in restoring a flounder. Records show St. Louis’ flounders can be traced back mainly to German immigrants, but architectural historians have not been able to find a direct connection back to German housing styles. Neither have they been able to find why exactly the builders chose a triangle form. Allen said that’s perhaps reason enough. 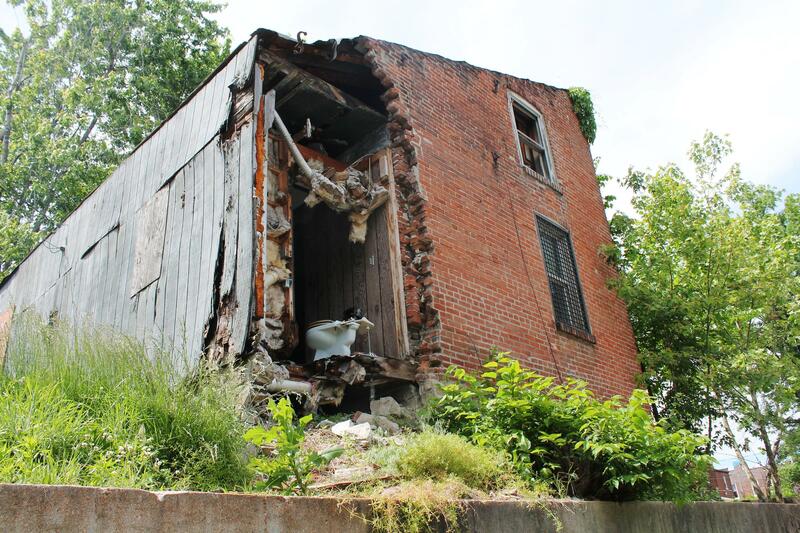 Only 5 percent of the flounders still standing in St. Louis are frame, or wooden, buildings, according to Jan Cameron of St. Louis' Cultural Resources Office. But perhaps the mysteries behind these flounders are part of their appeal. Cameron, for one, said she would love to live in one of these “charming” and “adorable” flounders. She’s particularly fond of a wooden Benton Park structure that actually consists of two flounders butting up against each other. Only about five percent of the city’s remaining flounders are frame, or wood, buildings. This renovated flounder has what's known as a hipped roof, in which the roof slopes back toward the front of the home. Meanwhile, Cameron’s colleagues have their own favorites, illustrating the variety among flounders. Co-worker Bob Bettis said his favorite is an “extremely ornate” detached brick flounder in north St. Louis. Andrea Gagen likes a more “high-style” version of a flounder, with hipped roofs in the Italianate style. These roofs still have the tall wall, but the roof slopes back toward the front, instead of continuing to the side. Their appreciation of flounders is shared by St. Louis resident Josie McDonald, who hopes to find proof that her Compton Heights home is itself a flounder. But she said she’s also interested in finding other like-minded lovers of these unique homes. The wooden frame of this flounder is covered up by grey vinyl, making it one of several wooden flounders preservationist Michael Allen says is hiding in plain sight. The house also features a dormer on its roof. Forman certainly thinks there is, and she’s even become friends online with a few fellow flounder aficionados. She also has gone “flounder fishing” in a Pokemon Go-esque attempt to find all the St. Louis flounders and talking to owners who don’t know they live in a unique structure. Updated as of July 28, 7 p.m. 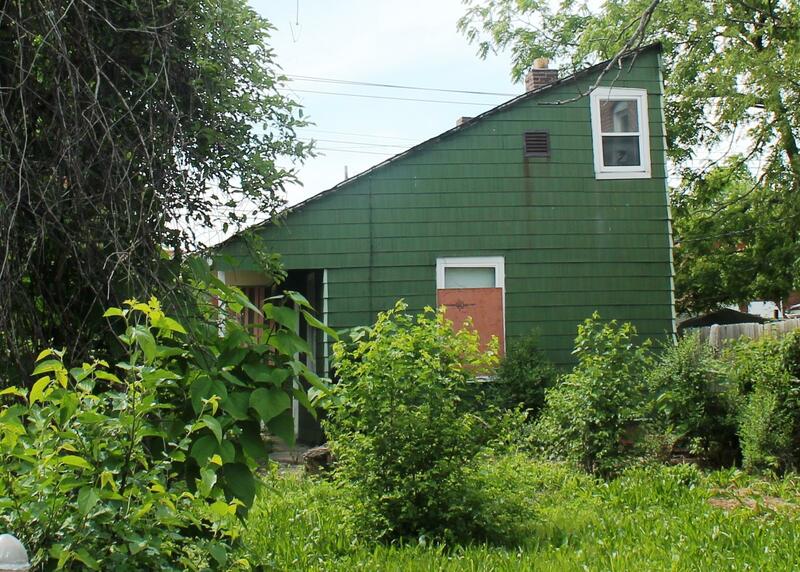 Most of St. Louis' 277 historic triangular-shaped houses known as "flounders" are in good shape, but dozens are considered endangered, according to a months-long survey performed by the city's Cultural Resources Office. A rare, mid-19th century, triangular type of house known as a "flounder" is the subject of a survey being conducted by the city of St. Louis.